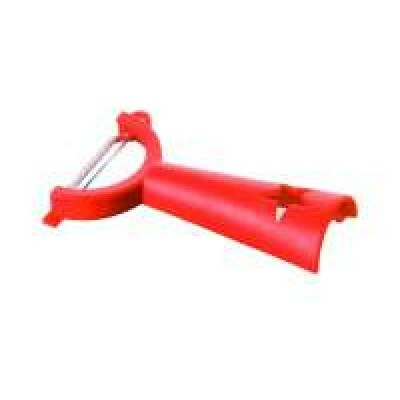 Tupperware Vegetable Peeler is designed to peel vegetables efficiently. It can scoop out eyes and cuts from potatoes and make beautiful slivers of dry fruits for garnishing. Stands upright to allow easy dripping of water and prevent rust. Easy grip, doesn’t slip from hand. Slightly bigger in size as compared to ordinary peeler.